The source of the Listeria strain has everyone up in arms and confused on what to do next. Listeria can continue to multiply in uncooked food kept in the fridge. This is why processed meats, smoked meats and soft cheeses that are not cooked are often linked to outbreaks. First things first: You’ve got to take everything out. While it’s empty, give the fridge a scrub down with a bleach/water solution, then replace the remaining contents and condiments in the appropriate spot. REMOVE ALL FOOD PRODUCTS from the fridge/freezer and clean closed packaging with a diluted bleach product. Wipe down all surfaces of the fridge/freezer with a clean cloth soaked in the bleach solution. Pack all opened foodstuffs in ziplock bags to protect from cross-contamination. Check the manufacturing date and dispose of items that was produced during the Listeria outbreak. Dispose of items in ziplock bags and double bag. Mark the disposed products as “DANGEROUS” when disposing in regular waste. We do not need animals to get hold of these products on the disposal sites. SANITIZE THE DRAWERS. Take them out (shelves too, if detachable) and use an old toothbrush to apply a paste of thick bleach and hot water to the corners and shelf seams. Agitate the paste to lift up grime. Scrub every side with a sponge dipped in warm, soapy water. Rinse and pat dry. Dispose of cloths and sponges used in the cleaning process. DEGRIME THE DRIP PAN. If your refrigerator has a removable drip pan, soak it for a few minutes in hot, soapy water, scrub with a sponge, then rinse. REMOVE DUST. Using the brush attachment, vacuum the coils, which may be behind the refrigerator. Wipe down the grille (typically at the base) with a dryer sheet to remove and repel dust. Cooking kills the listeria bacteria. Food should be heated above 70 degrees Celsius as heat kills the listeria bacteria. Cooked food must be kept separate from raw food and utensils used on raw food must not touch cooked food, in order to avoid cross-contamination. 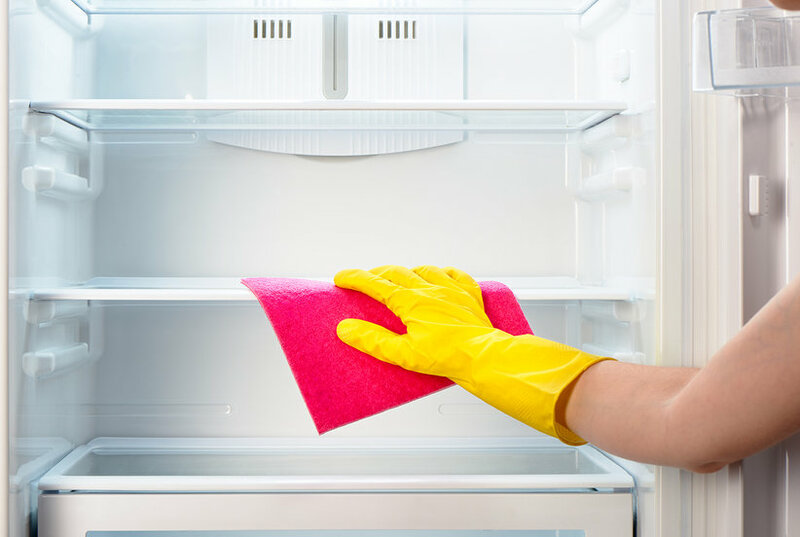 If you are unsure how to deal with the cleaning of the fridge/freezers or need us to come and assist you, call us on 0844 333 999 for an obligation free quote. 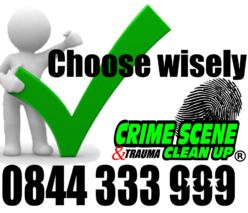 Next Next post: What should you do if you find a deceased body?